To help shed a little light on what business to business marketers are doing lets take a look at some research data along with a dash of analysis..
For many small business owners they manage their marketing by the seat of their pants. Even if business is good and they have a reasonable marketing program they wonder how their activities match up with other small businesses. This General Marketing Service 3.5 minute video provides an overview of what marketing steps are being taken by business to business companies and how they measure and track what they do. Some interesting insights include how B2B companies are getting leads, the lifeblood of their sales process. Watching the video will provide ideas on what is working and what is not quite as popular. 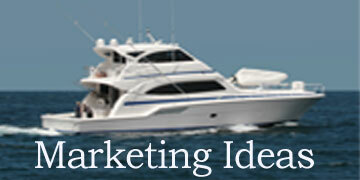 Best of all their may be many ideas you hadn’t thought of as part of your B2B marketing plan. Find out what web and social platforms are being used and which are not thought of as impact for business to business growth. The video also covers the hot trend of content marketing which in actuality has been around much longer than its buzzword might indicate. See what tools smaller business uses to track their marketing success and how easy it can be for you to do something similar. Overall a nice review of recent trends and direction.